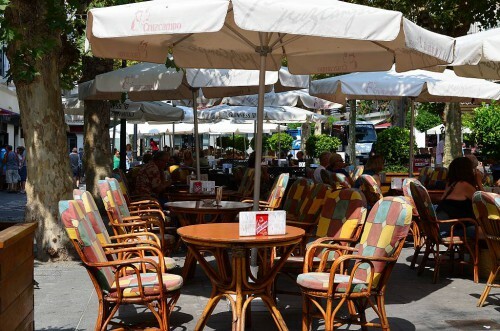 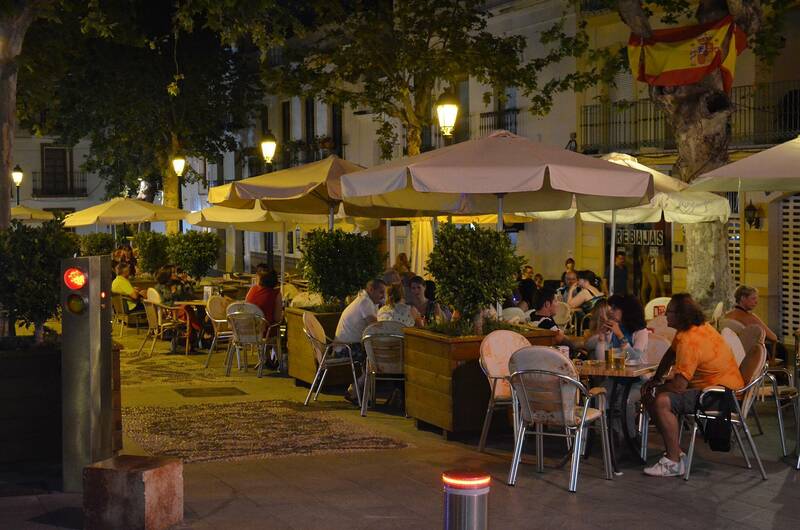 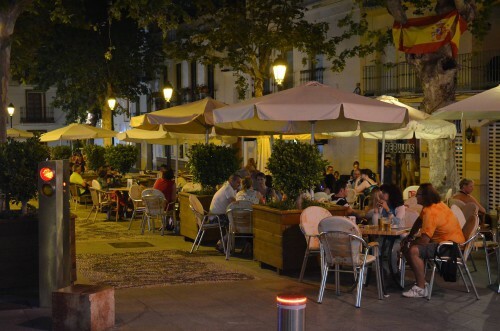 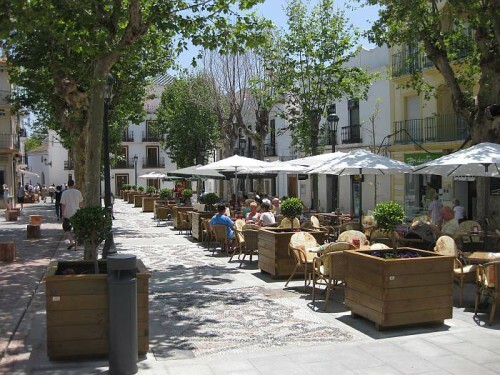 Plaza Cavana is a lovely square in the centre of town just behind the iglesia El Salvador and is a great place just to sit out on the café terraces and relax. The plaza was totally renovated at the end of 2009/beginning of 2010. 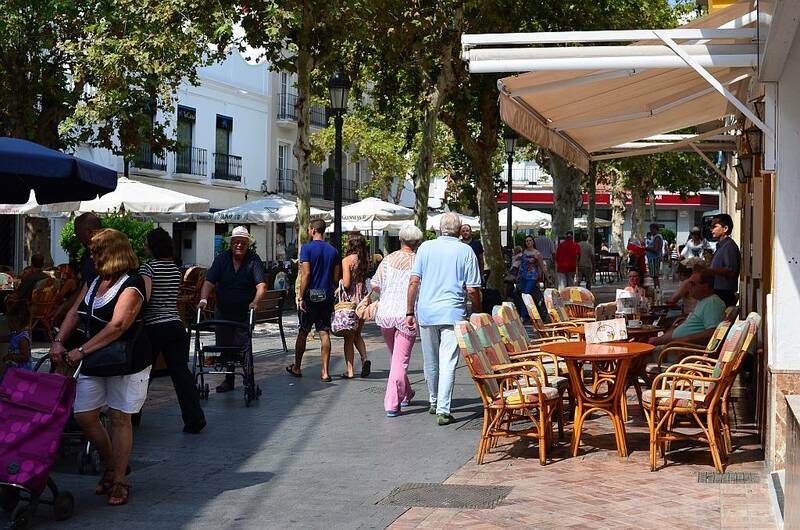 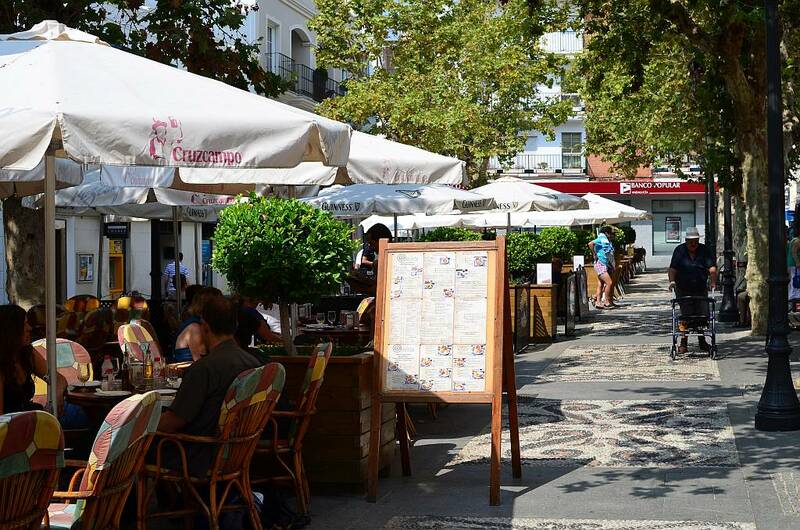 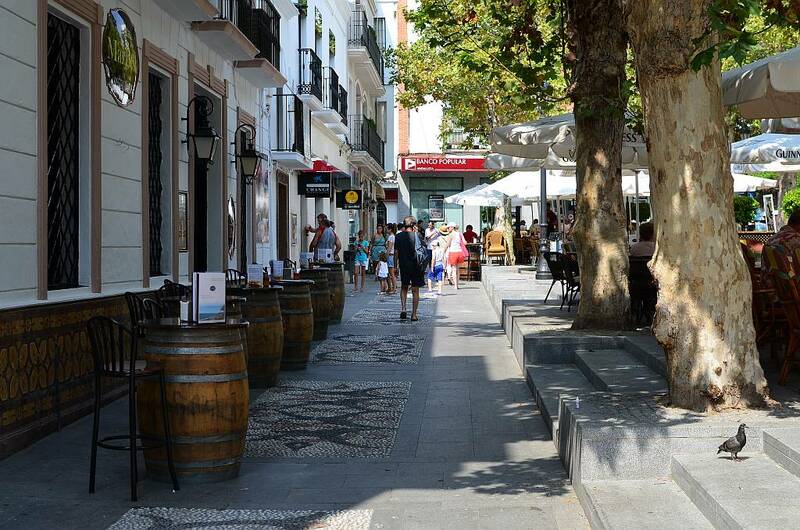 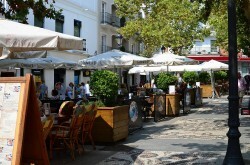 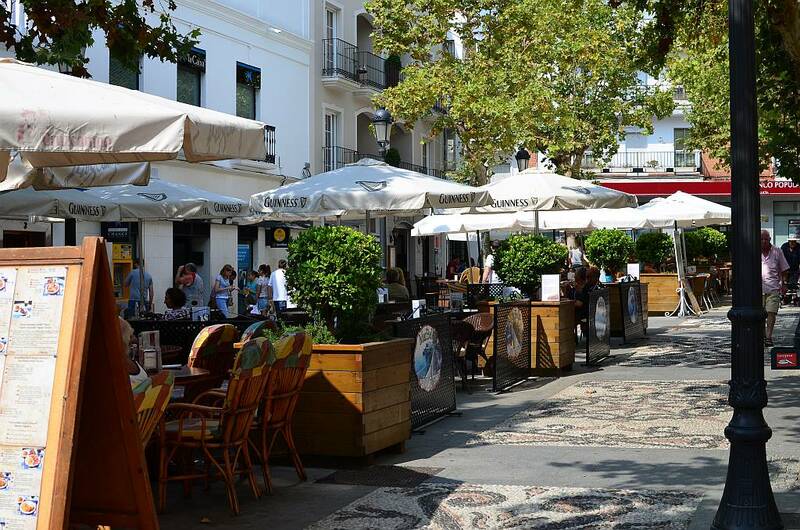 There are several bars and restaurants in the square - Italica, La Fragata, Bar Cavana, Candela, Cafeteria Hotel Plaza Cavana, MarBella - most with terraces from around April to November. 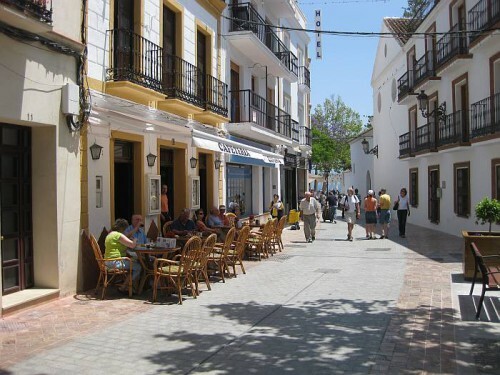 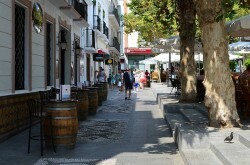 Bar Cavana, one of the oldest bars in Nerja, and Candela both do very nice tapas. 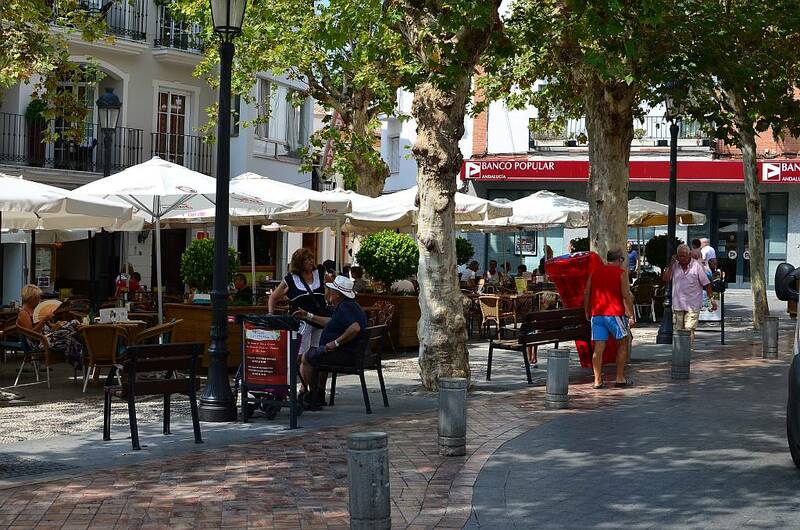 There are also a couple of banks (La Caixa, Banco Popular), ATM's and one hotel, the three star Hotel Plaza Cavana. 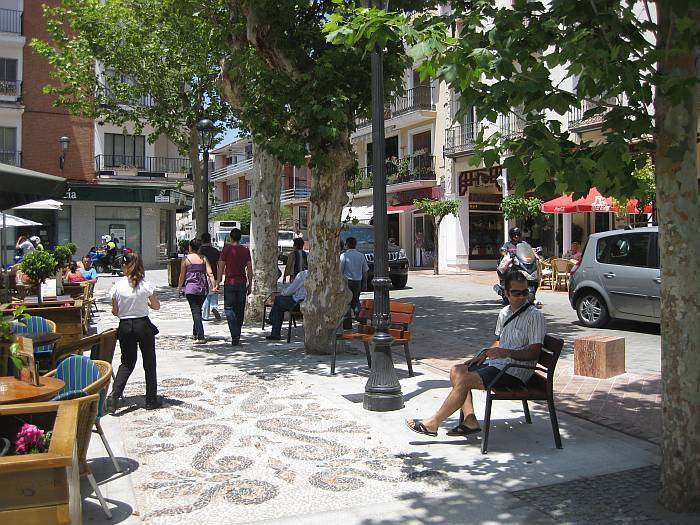 The video on the left shows the plaza as it was on the day the renovations were completed, the video on the right shows the old square.